Penny is the perfect choice for outdoor events. 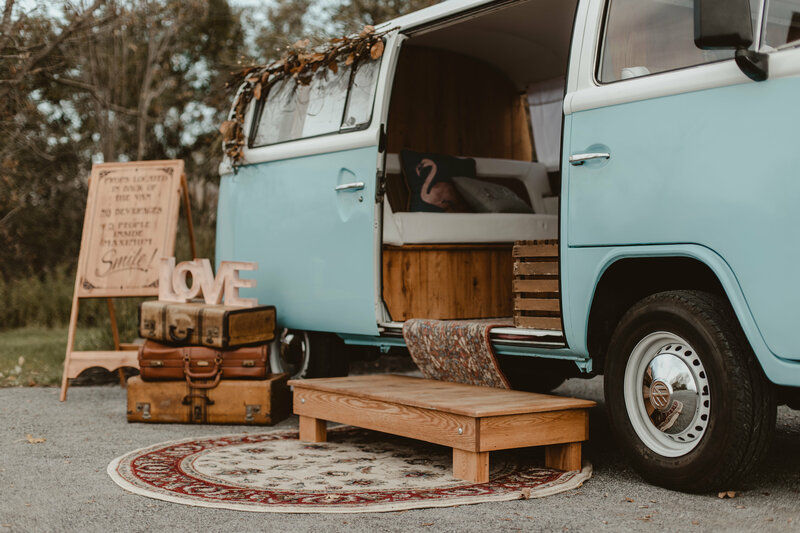 She is a vintage ‘77 VW bus with modern high quality digital equipment. 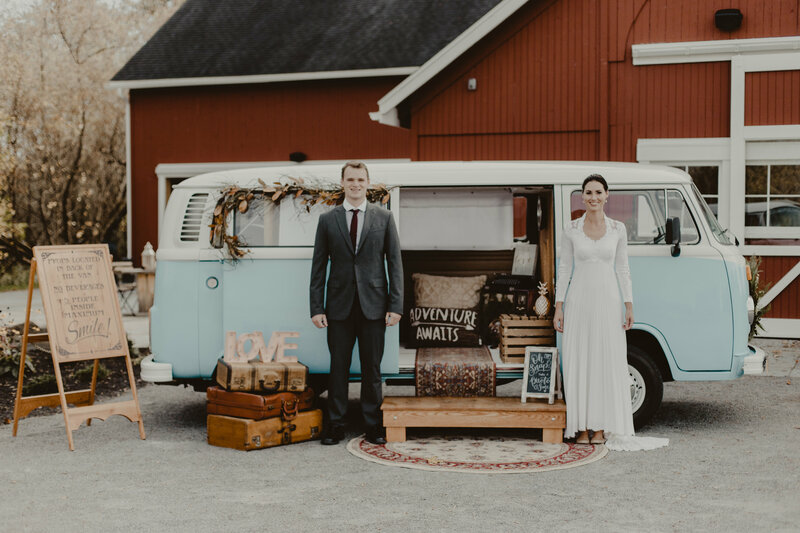 She will add that rustic, vintage feel to your event that guests will love. She also makes a great backdrop for couples and groups to take photos with. Don’t wait book the bus today. 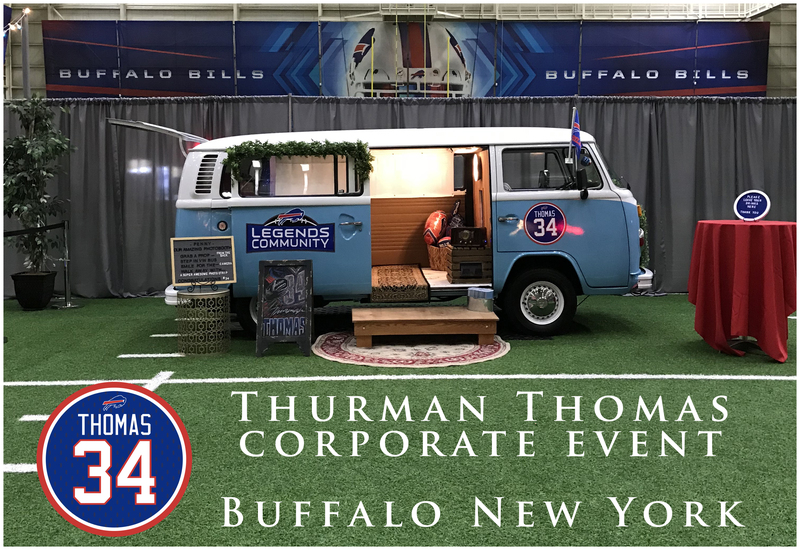 Offering the only truly vintage style photo booths. Choose from 3 different options. This is a great choice for smaller venues that have trouble accommodating a traditional photo booth. Made from timber right off our property it is a rustic, antique unit that sits upon 3 wooden tripod legs. 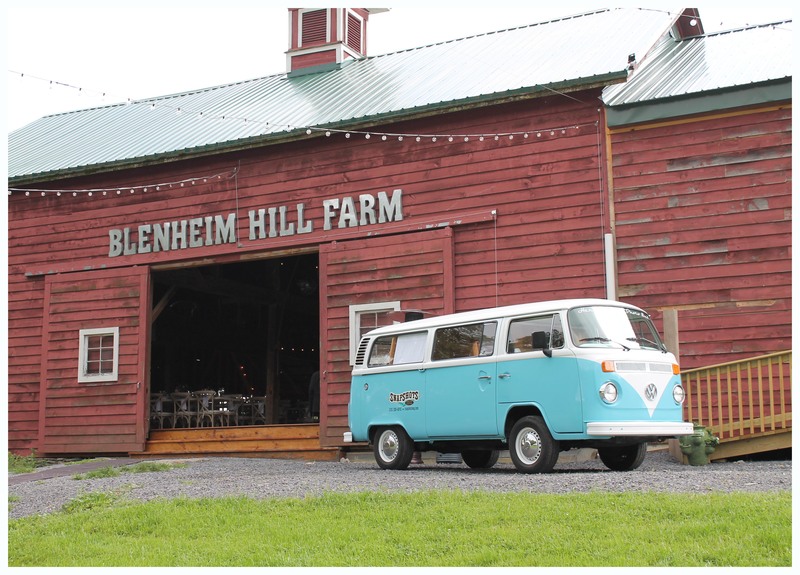 These booths compliment any country, barn, winery or vintage style event. 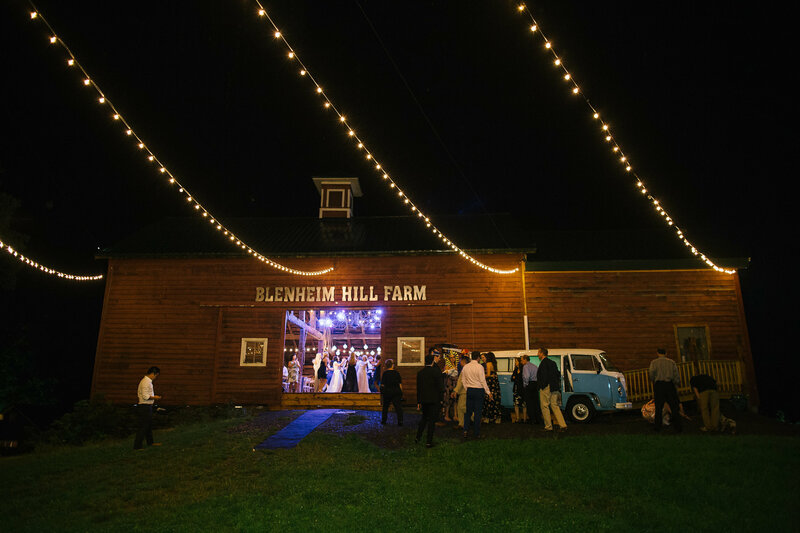 We traditionally bring along a backdrop of your choosing , but sometimes the venue provides a great background on its own. 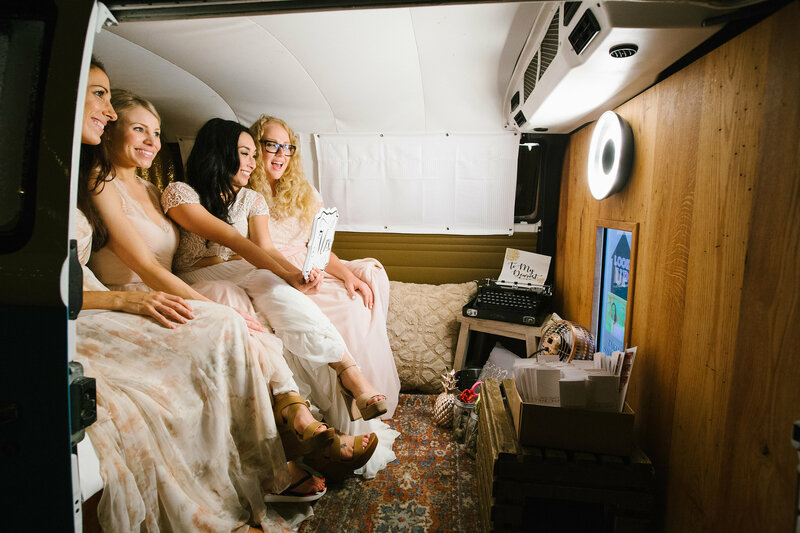 It is the perfect combination of modern equipment with that old time photo booth appeal. Snapshots Photo Booth has 3 enclosed photo booths. They are 5' x 5' black pop up tents for easy set up. Our tower booths fit nicely inside and creates a great non-intrusive element to your wedding or event. We have over 20 different backdrops in stock to compliment your theme for you to choose at no additional charge. Snapshots photo booth did a Disney event for me at my school, and they were amazing! Not only are they professional and timely, but they are kind, patient, and incredibly accommodating to all who are getting their photos taken! There is great attention to detail, with the photos highlighting your event, and you are given a memory stick with all of your photos at the end of the event! She also includes a thank you card and access to getting in touch for future events! I would highly recommend Snapshots for any event to add an extra touch of fun and class! One of the BEST parts of our big night. Thank you for EVERYTHING!! THIS IS A MUST! Hi Heather .. We really enjoyed the photo booth and rest assured I will book again for Karissa graduation party!!! I thought the pictures were fabulous and everyone felt it was easy to use . I would definitely recommend snapshots as I felt the quality and service superb !!!. All in all there is nothing I would change in your product and your professionalism. Thank you for making the day great !! I've contracted with Snapshots numerous times, she has always shown the utmost professionalism in every situation. 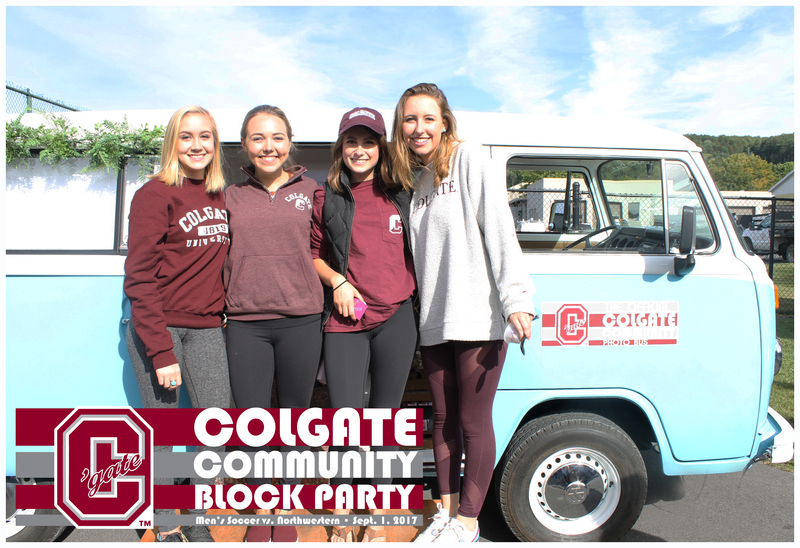 She has worked with our clubs on campus to coordinate events, and has been a supporter of the American Heart Association. Her display is top notch and her guest service is what keeps guests coming back throughout the event! I without any reservation recommend Snapshots to anyone having an event! 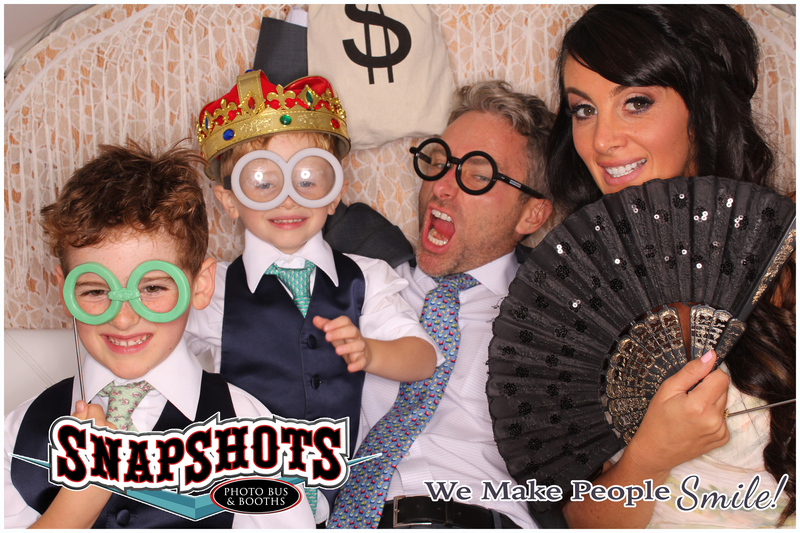 Snapshots helped maker wedding reception so much fun! My guests and I had a blast dressing up and taking photos. They even included a CD of all the pictures for me to keep that I can look back on. The staff were very helpful with arranging the details and making sure my guests had a great time. I would recommend Snapshots to everyone! We were very excited about the Photo booth for our annual Love Your Library day event. It was something new and exciting for our students. We hope to continue it every year, and the more we have it, the more students will know about it and show up to use it! The students got a kick out of being able to use the props and have a print out of their photo. Heather was great to work with and very accommodating! Snapshots and Heather are a local business that are great to work with! Professional , punctual, affordable, fun with awesome props. The bride and groom receive a cd with all pics taken at the event- lots of laughs and memories for our guests.This business was the perfect addition to our celebration- the “frosting” for a memorable day- THANK YOU Heather ur the best! These girls were amazing! They were right on time and so friendly... They had tons of fun props and the kids had a blast with it! 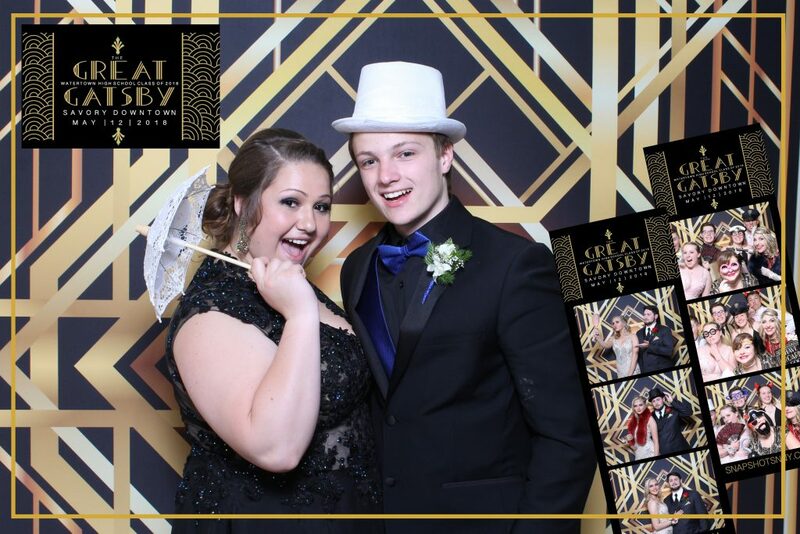 I would recommend Snapshots photo booth for sure... Our prom was so awesome with the addition of this booth! Great work! Thank you Heather for being part of our wedding day, you helped make it the best day ever! Props and service are amazing, can't wait to go through all the pictures on the USB (which was given to us as well!) of all the memories. Great choice choosing snapshots!! Heather was amazing to work with. She was very responsive to calls and texts, and helped us to customize the perfect backdrop and printout for our wedding. 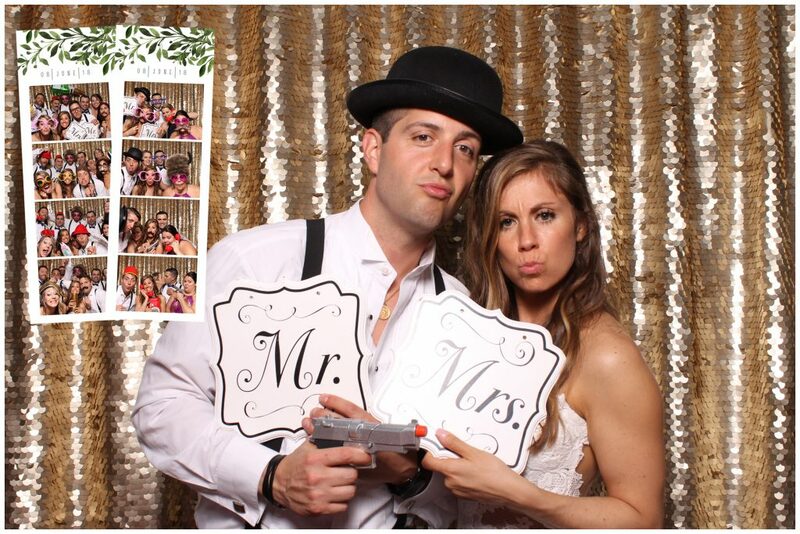 Our guests had so much fun in her photobooth, with her wide assortment of props. Heather even custom made some props for our wedding. All photos were uploaded online for our guests to see less than 2 hours after the event had ended. 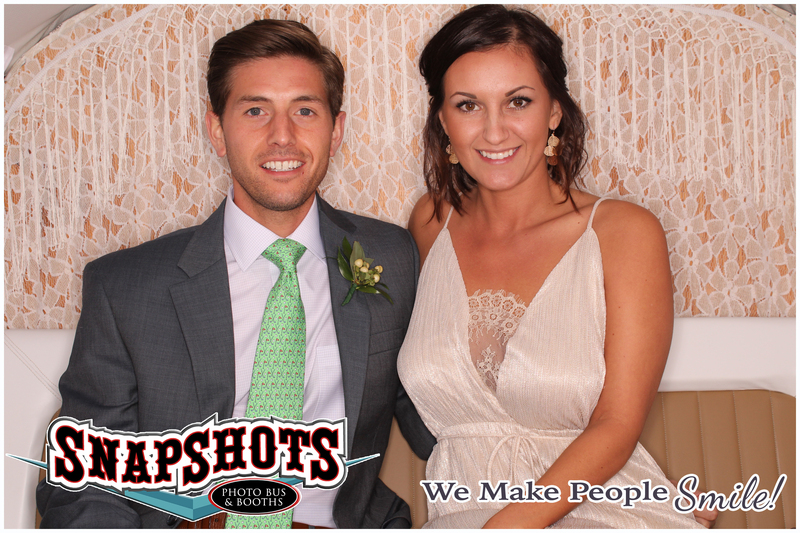 I would highly recommend Snapshots photo bus and booths to anyone looking for a fun, easy addition to their event! Just had my wedding and they did a great job! 10/10 would definitely use their services again! 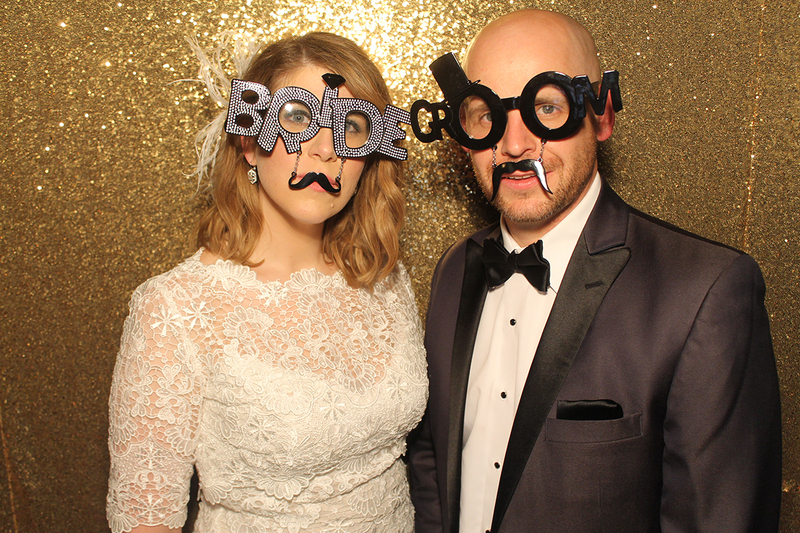 Absolutely loved having Snapshots photobooth at our wedding. They were SO reasonably priced and EVERYONE had a great time striking goofy poses with all the props that were provided. Heather even found me afterward and personally handed me the USB drive with every photo on it that was taken throughout the night. My new husband and I highly recommend !!! I've known Heather as a family friend for years before our wedding last night, but her Photobooth is easily the best in the north country! She was essential at our wedding and it was a huge hit. She is accommodating, fun and prepared. I would definitely recommend to all my friends and family and anyone looking for a Photobooth for their event! A very nice addition to any event..the students (and chaperones) at the Beaver River Prom 2016 really enjoyed it...thank you!! I HIGHLY RECOMMEND Snapshots Photo Booth!! Heather and her staff are fantastic. Props are so much fun!! We had a great time at the wedding!! Simply one of the best. Love working with her and her professionalism. So much fun. We used for our company Christmas party, it was a big hit and lots of fun. We look forward to doing this again next year!! Getting the picture downloads allowed me to see everyone's fun as well. I ordered prints directly from the linked site and they turned out great as well! Highly recommend! 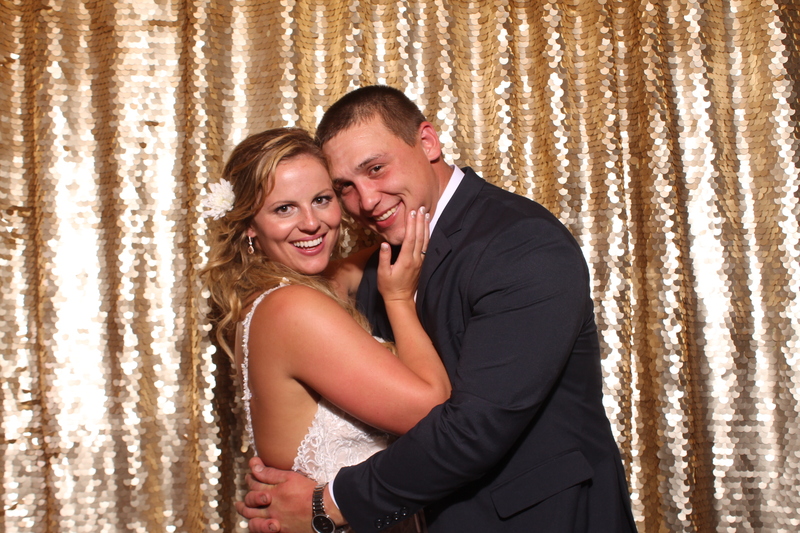 The open air photo booth was a great addition to our wedding reception. Heather was easy to work with and created a custom logo for our photo strips. 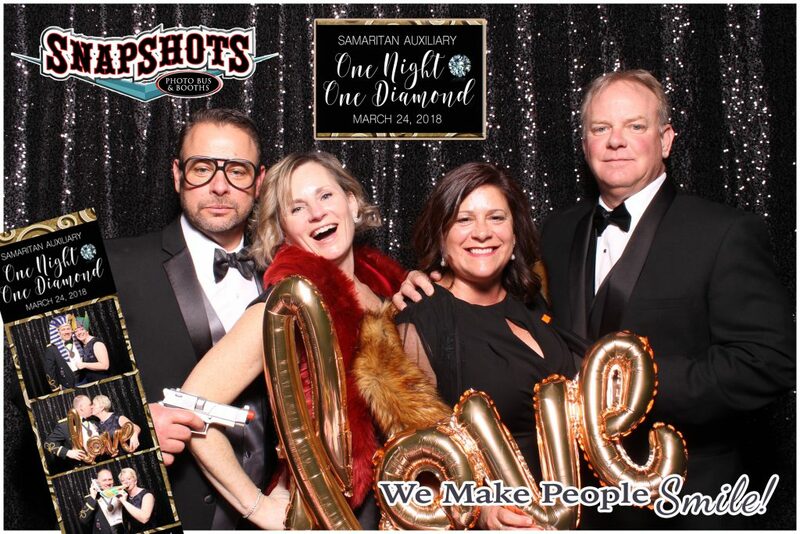 Our guests had a great time posing with the provided props and the pictures came out great! Heather and her co-worker were amazing! We ran into a parking snafu the day of our wedding and they were incredibly flexible and helpful during the whole thing. 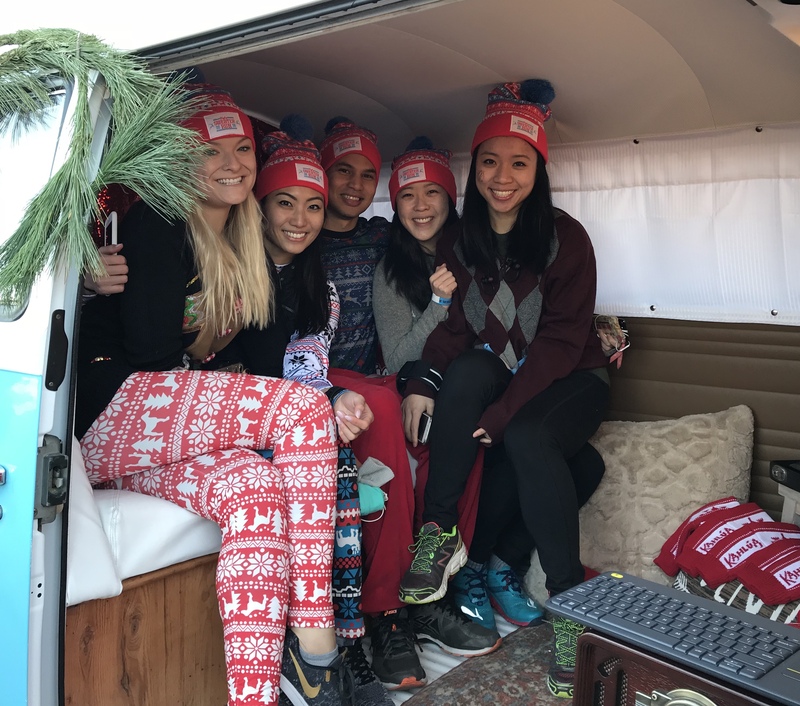 Our guests had a great time, and were raving about the VW bus! Our friends even ended up booking a photo booth for their July wedding. THANK YOU HEATHER FOR EVERYTHING! Heather and her staff go above and beyond for everyone! She is so easy to work with, and this was the one part of my wedding day I did not have to stress about! Highly recommend!!! Also great quality pictures! 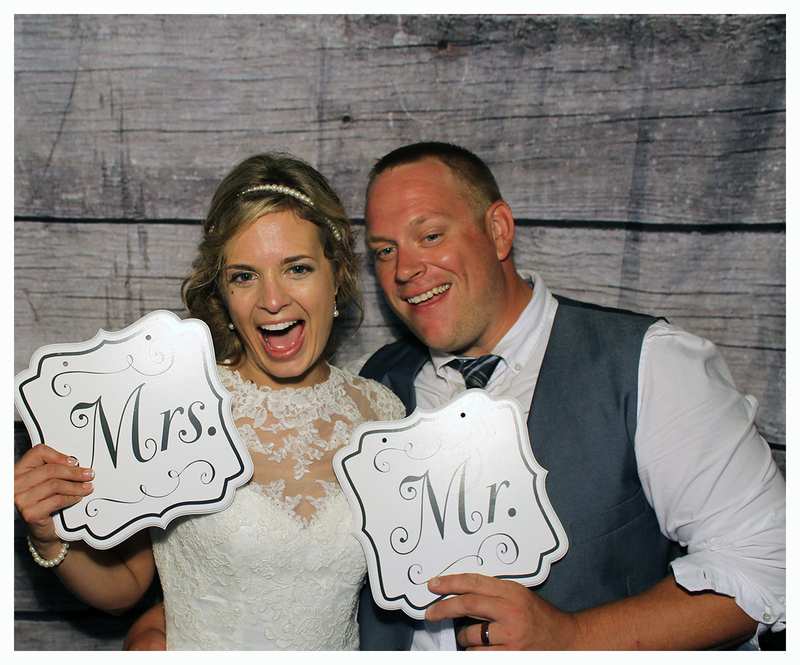 We absolutely love Snapshots Photo Booth. So easy and carefree to work with! The kids absolutely love it! 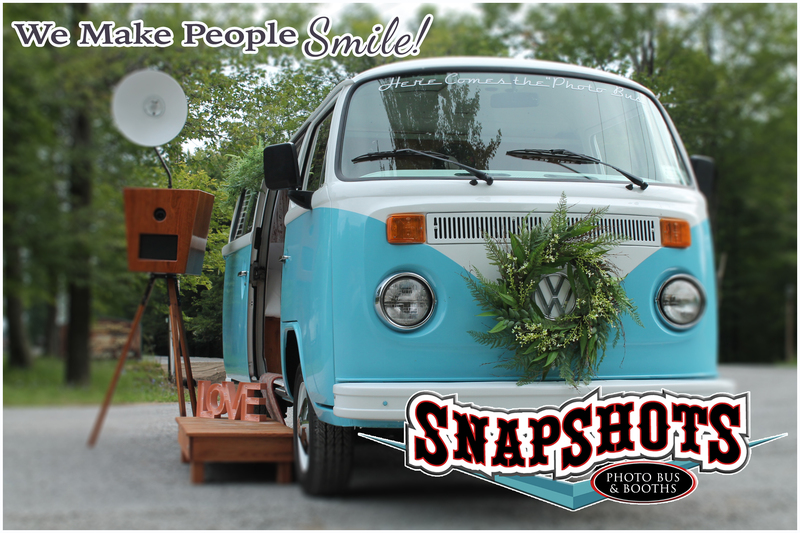 Snapshots Photo Bus and Booths is by far the best photo booth company I have ever worked with and I have worked with a lot! They respond within a days time, all of their staff is AMAZING and their quality is like no other. 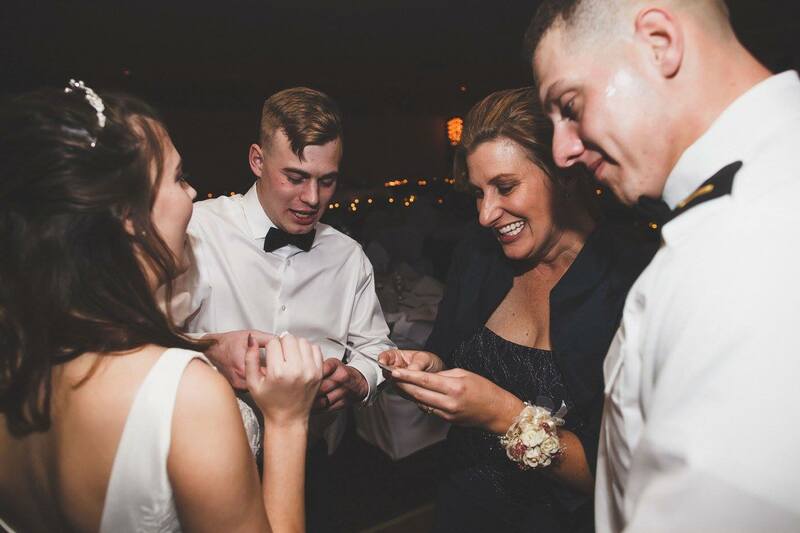 Being a wedding planner I like to only suggest the best for my brides and I can proudly say that Heather and her team are my number 1 recommendation. 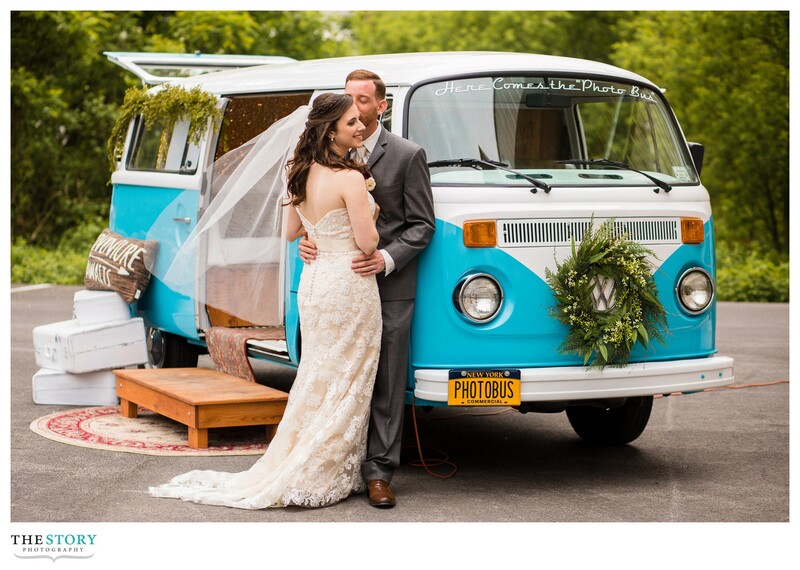 Everyone loved Snapshots Photo Bus and Booths at our wedding! We all had so much fun and there was so many props to choose from. People of all ages loved the booth and had a great time. The booth was great for our cocktail hour to keep our guests busy and then a couple of hours into our reception. Heather was so easy to work with and willing to work with and around us. 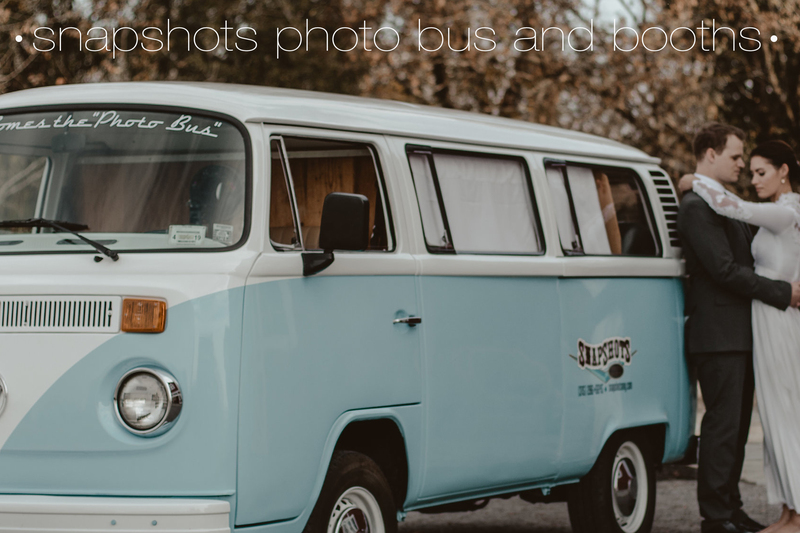 I would 100% recommend Snapshots Photo Bus and Bootsh to anyone looking to have a great time at their event! We are so thankful to Heather for helping to make our big day so memorable! Snapshots was very professional, set up quickly and provided an extremely fun night for a 10 year high school reunion. The staff was great and entertaining. Heather customized signs for us to use based on our reunion and overall the photobooth was a hit with everyone that attended. 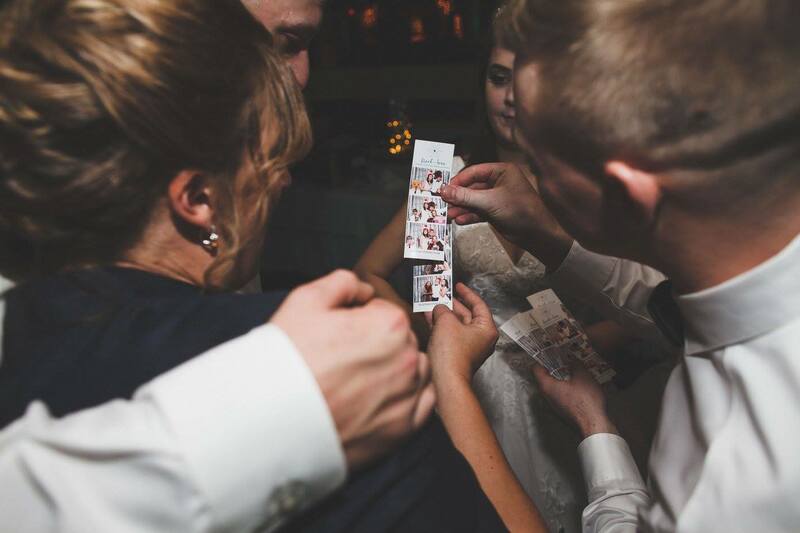 With the photo booth you get digital and print copies of the pictures, and there is enough for everyone! We will have these memories for decades more to come and will cherish them. My only regret is we didn't have snapshots photo booth in high school to compare pictures! !Will definitely be booking again for future events. And 100% recommend this service, if you are on the fence... just book it. Its worth every penny! If I could give Heather more than five stars I so would! She was amazing to work with and clearly takes pride in the services she offers! Penny was a hit at our wedding and people still can’t stop talking about it. I 10/10 recommend!!! Thanks for making our special day even more memorable!